im taking out my springs this week and cutting about 2" out of the front and 2 1/2" out of the rear anybody have any suggestions?? "yea, its got a few mods"
I've been told by suspension people in the past that cutting springs is a bad idea for a couple of reasons. 1) A spring will have been designed with a particular application in mind and certain loading forces over its whole length. When you cut it the whole force is now acting over a much shorter length, so reducing the 'springiness' of the spring. Its unlikely to snap or fail, just may change the handling. 2) If you cut a few mil too much from any one side, the car may sag or lean over. Of course this could all be cobblers, but its what I've been told in the past by people in 'the know'. I'm sure lowering springs can be bought that drop the car between 35 - 75mm (1.5 - 3 inches). The other thing is lowering springs are not usually physically shorter than standard springs, it`s the way they`re wound & the diameter of the `wire` that`s different. Admin and dirty rotten egg! Actually I think you'll find the kid had been amazingly clever as he'd realised that he'd never be able to get his corsa in the air due to the lack of power, the weight of all his speakers and the fact that even if he did his £5000 bodykit would smash to smitherines on landing. Speaking of 5 grand bodykits there's this pug 205 near one of my friends houses that always makes me laugh. It's really townified, massive wheels, stupid bodykit etc. on an F plate and a sign in the window just says 1.6gti, £5000 and a phone number. Been there for months now. 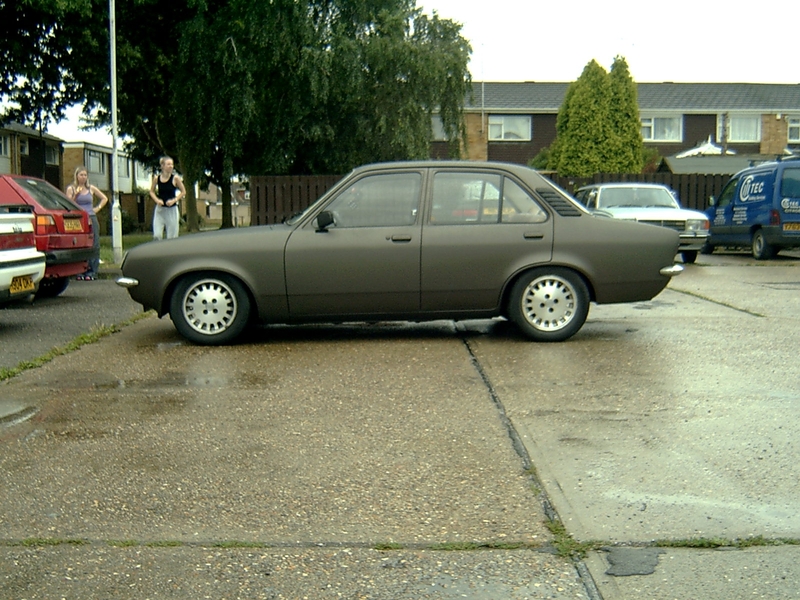 Sorry to hijack your thread Chevette Kid, but hey, welcome to the forum! 300 pounds? What on earth have you done to it? Tasteful modifications only I hope! Send us a few pics and we will stick them on the photo gallery for you. where can you order lowering springs from? The best thing to do is to ring Tim at TJ Motorsport and discuss your requirements. He'll sort you out. I ain't getting in no plane! Neilyman wrote: The other thing is lowering springs are not usually physically shorter than standard springs, it`s the way they`re wound & the diameter of the `wire` that`s different. Cut springs should work fine, nothing you need worry about. 'lowering' springs would be better but sometimes budget dictates actions. i cut out 4 coils on the front and 2 on the back. runs fine, sits on the bumpstops on the front but the back can go even lowerLook here! "ORDER SOME GOLF SHOES OTHERWISE WELL NEVER GET OUT OF THIS PLACE ALIVE"
I cutted my chevette rear ones. Every time when I have to remove the wheel, then I have to hold the spring, because otherwise it will fall out. But the rear end was very high when I bought the car (VERY HIGH). Now it seems normal and now I'm happy. Apart from Spax are there any other suspension makers I can call on, coil overs would be ideal if my budget was stretched. Return to Keiths Hotrod/Custom Stylee Bit !